As you may know, Trudy and I eat mostly Mediterranean and Asian foods. One of the reasons we do this is because more than half a century of scientific research has found that traditional Mediterranean and Asian diets are the healthiest diets in the world (the longest-living people in the world also happen to live in Mediterranean and Asian regions such as Ikaria in Greece, Sardinia in Italy and Okinawa in Japan — areas known as 'Blue Zones'). However the healthfulness of traditional Mediterranean Asian eating practices isn't the sole reason we follow a MediterrAsian way of eating. As much as we love health-giving food, we also love tasty food. If a food is super healthy but doesn't taste very good then we simply won't eat it. That's why we're constantly blown away by the fact that Mediterranean and Asian foods aren't just incredibly good for us, they also taste incredibly good! But it's not really surprising that these foods taste so good because for thousands of years people from these cultures have been discovering how to turn simple, fresh ingredients into magical creations rich with flavor, texture color and aroma. These recipes, in turn, have been shared and passed down from generation to generation; millions of home cooks have tried and tested them, perfecting ingredients and harmonizing flavors. And we get to enjoy the wonderful rewards! 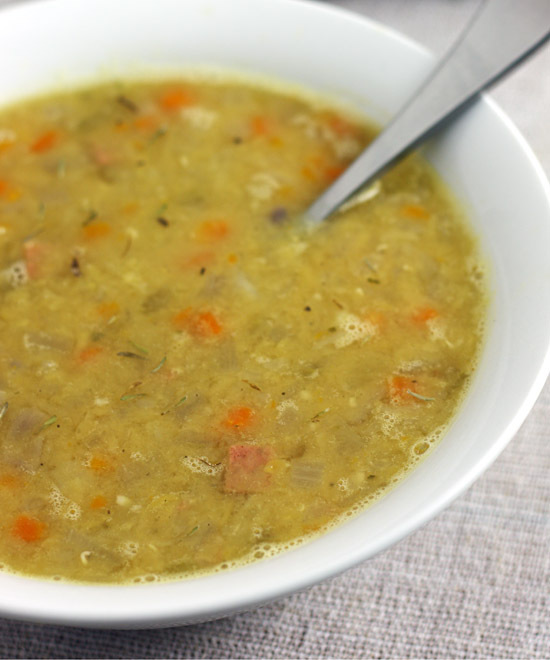 This recipe is a perfect example of great tasting food that also happens to be great for our bodies. The sweet potatoes are rich in beta carotene and fiber; the lentils are a great source of protein and slowly-digesting carbohydrates; the baby spinach is a good source of folate, calcium and iron; the walnuts provide protein and healthy fats including omega-3 fatty acids; and the garlic and olive oil in the dressing provide antioxidants and other healthful nutrients. But the last thing we were thinking about when we ate this salad was its nutrient content — we were way too busy savoring the amazing flavors. 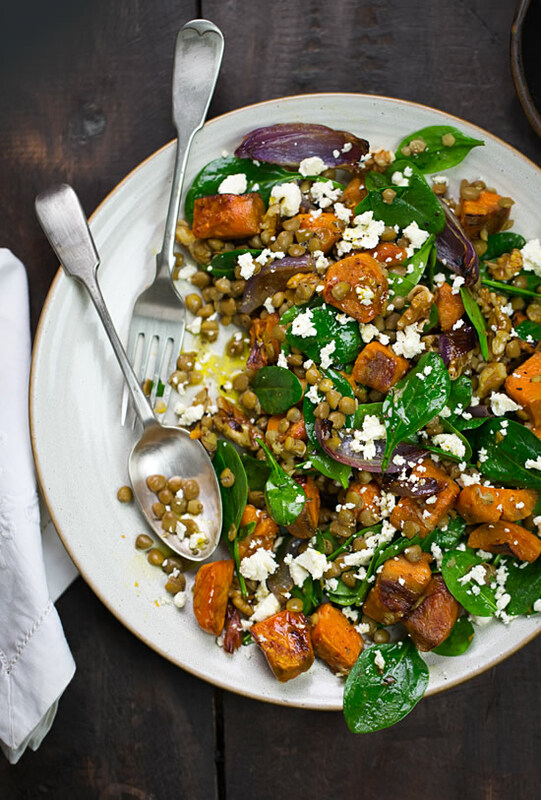 Chunks of roasted sweet potato combined with lentils, crisp baby spinach, walnuts and crumbled feta, and tossed with a lemon-garlic vinaigrette. Packed with flavor and goodness. PREHEAT the oven to 450°F/230°C. TOSS the sweet potato and red onion with 1 tablespoon of the olive oil. 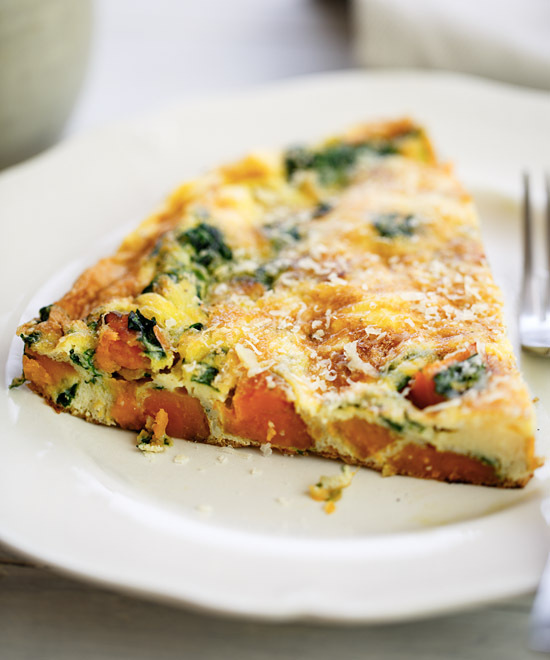 ARRANGE the sweet potato and onion in a single layer on a baking tray. BAKE for 15 minutes, toss, and bake a further 10 minutes. PLACE the remaining 3 tablespoons of olive oil in a jar with screw-top lid with the garlic, lemon juice, oregano, salt and pepper and shake to combine. 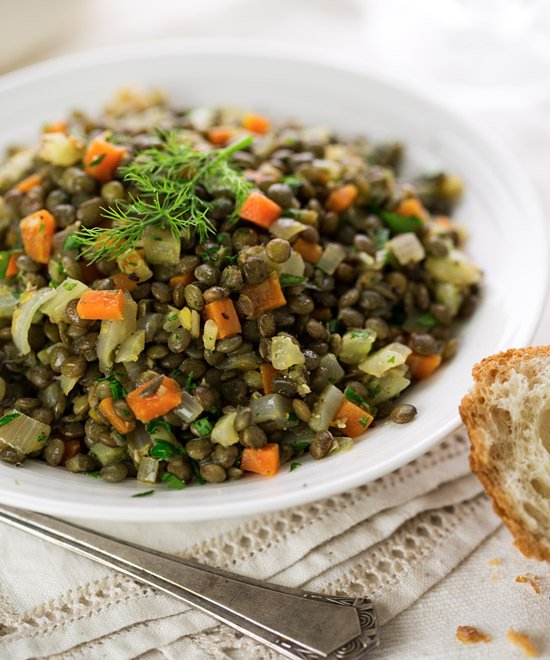 PLACE the roasted sweet potato and red onion in a salad bowl with the lentils, spinach, walnuts and feta cheese. ADD the dressing and toss gently to combine.